The Alabama Agribusiness Council Foundation operates as a 501 (c)(3) corporation to facilitate the Alabama Agribusiness Council's mission of advocating, promoting and enhancing the business of agriculture and forestry in Alabama. AACF serves as an avenue to make tax-deductible contributions to help carry out that mission for charity, scientific and educational purposes. 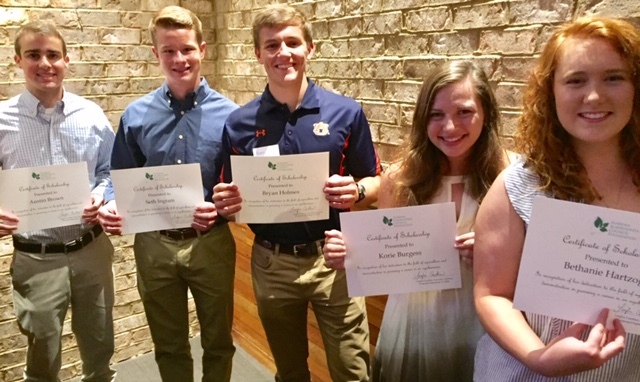 The AACF's goal is to provide scholarships to students attending any four-year public institution in Alabama who chooses to study agriculture or a related field, fund scientific research studies related to agricultural industries and to provide financial assistance to those members who suffer catastophic loss due to no fault of their own. The AACF is an exciting opportunity to invest in the future of agriculture in Alabama!